Waste removal anywhere in the UK cannot be taken too seriously and the consequences for the incorrect disposal of waste products can be very costly. If you are searching for a quality skip hire service in the Atherton and surrounding area, we are here to help you. 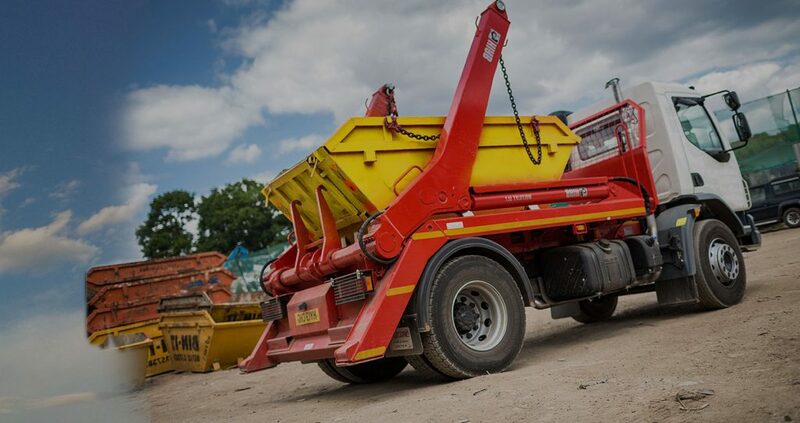 We have 20 years of specialised industry experience, and have stock a wide range of skips to suit any domestic, commercial, and industrial use. Why not take advantage of our premium skip hire service? We guarantee that you won’t be disappointed. You might have had the experience of starting a home improvement project, only to find that there is a lot more waste products that you had anticipated. Are you tempted to take your car back and forth to the local recycling centre? This might seem like a good idea at the time, however, this is time-consuming and could damage your vehicle. We have a comprehensive range of skips for you to choose from, which could save you time and ultimately money. Our range of domestic skips start from 2 yards and our largest domestic ones are16 yard open skips. What if you’re not sure what sized container to order? We will be happy to help you to select the appropriate skip to match the amount of waste that you have. Do you need a permit from the local authority (Wigan Council) to situate your skip on the street? We can arrange that for you. If you need larger skips and containers, we also have a fantastic industrial and commercial skip hire provision. Regardless of the scale of your building project, we can accommodate your waste disposal requirements. What range of skips do we have for those in the industrial and commercial sector? They start at 8 cubic yards and progress up to 40 yards with enclosed compact bins. It’s not just our products that makes our service premier. We provide a timely service by tracking our vehicles and ensuring accurate delivery schedules. There is nothing worse than waiting for a skip and not knowing exactly when it will arrive. We can keep you updated on the location of our skip lorries at any given time, which means that you can carefully plan the disposal and recycling of your waste products. The recycling and tipping provision that we operate is for both the public and small contractors, including local builders, joiners, engineers and so on, who need to recycle their everyday waste. How effective is our recycling system? Our transfer station separates your waste into similar categories of products and around 90% is reclaimed. This is another reason to come to us if you are in the Atherton region. Our efficient, cost effective service is aimed at domestic, commercial, and industrial businesses, so that everyone can benefit from our fist-class skip hire service. Why not contact us today on our website? Or you can phone us now on 01204 383737. See what we can do for you.